Many older adults have a yearning technically called “compression of morbidity.” They desire more than life expansion; they hope to stay active and independent until the end and then pass away quickly from terminal illnesses without suffering. Almost every major industry recognizes opportunities implied by this human aspiration. Forrester Research has projected that in-home medical monitoring could reach $34 billion in 2015. Accordingly, Independa, an award-winning tech startup, provides care recipients with social and community content and appointment and medication reminders through flat-screen televisions and tablets. This cloud-based package of mHealth services delivers remote support for independent caregivers, as well as staff efficiencies for senior living communities, CCRCs, and nursing homes. Intel is on a growing list of companies developing technologies to help people avoid nursing homes. Called Care Innovations, Intel’s strategic alliance with GE aims to commercialize home-based monitoring to improve quality-of-life while reducing national healthcare costs. Age management, or anti-aging, has inspired breakthrough practices to slow the aging process. Some medical doctors advocate hormone replacement therapy (HRT) to diminish loss of muscle mass and prevent chronic fatigue. Many fitness facilities offer computerized, pneumatic plyometric machines for low-impact core training, diminishing wear-and-tear on joints and tendons. Pharmaceutical companies have over 400 drugs under development to tackle aging. 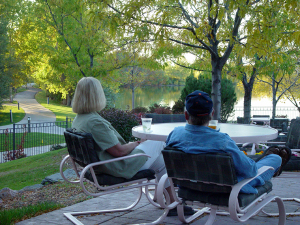 Homebuyers over 50 are downsizing and right-sizing. Some are adopting active-adult communities wired for the future and nostalgically reminiscent of the past. Others are occupying classic high-rises retrofitted with fiber optic cables and discrete accessibility features. Virtual retirement villages are springing up across the nation. Members pay a yearly fee to gain conciergelike, internet-based access to vetted services providers as well as social connections through group activities that help them age in place. One of the newest categories in grocery stores is called “functional foods,” exemplified by GoodBelly probiotic juice drinks. Containing Lactobacillus plantarum 299v, GoodBelly’s designer beverages have been formulated to stimulate optimum digestive health. Car manufacturers are designing third-age vehicles to address late-life mobility aspirations. For example, the Hyundai Genesis features an advanced Automatic Emergency Braking system that uses cameras and radar sensors. If a crash becomes imminent and a driver does not react, the system deploys, braking the vehicle from speeds as high as 50 MPH. Thanks to technological revolutions in most industries today, the future of aging should be a lot less morbid, with time spent declining much more compressed for many. Major foreign news stories: the Gulf War; the occupation of the US embassy in Iran; the Soviet invasion of Afghanistan; the Iran-Iraq war; the ouster of Idi Amin from Uganda; the assassination of Anwar Sadat in Egypt; and the ill-fated Royal Wedding of Charles and Diana in England. For three decades, John Erickson envisioned and built innovative communities for seniors, understanding before most that an active, social lifestyle and access to good health care were essential for the mental and physical health of seniors. As the founder of Erickson Retirement Communities, the company operates 20 retirement communities with more than 23,000 residents in 11 states. He could have stopped there. But instead, he took what he possessed — a deep understanding of senior America and its strengths — and launched cable network Retirement Living TV in 2006, to provide a new voice to a generation largely ignored by television media. As a carpenter and contractor, Louis Tenenbaum completed his first home access modifications in 1988. Excited by the significant impact he had on the family whose home he made accessible, Louis focused his design/build remodeling company on Aging in Place in the early 90s, which continues today. Today Louis speaks, writes and consults on Universal Design and Aging in Place for developers, builders, health professionals, communities and wide ranging business interests. Joop Koopman is a multilingual writer, marketing and publishing professional with significant experience developing editorial content and marketing materials across multimedia channels and formats for institutional, corporate and non-profit clients. His expertise spans full range of media, including print, television and digital. Joop served as senior marketing, sales, research and editorial liaison for Plus Magazine, the leading magazine serving the 50 year-old+ audience in the Netherlands and other European countries. Steve Demos is the natural foods pioneer and visionary behind NextFoods and its GoodBelly brand. A progressive entrepreneur with more than 30 years experience in creating and marketing environmentally and socially-conscious foods, he is also the founder and former president of White Wave Inc., the largest producer and marketer of soy-based products in the U.S (Silk Milk Brand). He founded White Wave in 1977, where he led all aspects of strategic planning, operations, product conception and development, and branding until the company was sold to Dean Foods in 2005 for $296 million. Jeff Zimman is the co-founder and Chairman of Posit Science, the leading provider of brain fitness software. More than 60 articles in peer-reviewed science and medical journals have shown that the company’s patented technologies significantly increase processing speed, improve memory and attention, and enhance quality of life. Brain training can improve your overall mood and handling of daily activities such as driving. Jed Diamond, PhD, LCSW, is founder and director of MenAlive, a health program that helps men live long and well. He has been a licensed psychotherapist for over 45 years and is the author of ten books including the international best-selling “Male Menopause” that has thus far been translated into 24 languages. Jed’s newest book, “MenAlive: Stop Killer Stress with Simple Energy Healing Tools,” brings together the wisdom accumulated in 40 years helping more than 20,000 men, women, and children. Leonard Steinhorn is a full-time professor of Public Communication at American University. His expertise includes American politics, culture and media, strategic communication, the presidency, and recent American history. He is author of “The Greater Generation: In Defense of the Baby Boom Legacy,” and co-author of “By the Color of Our Skin: The Illusion of Integration and the Reality of Race.” He has published in books, journals, the Washington Post, Salon, Politico, and International Herald Tribune, among others. Steinhorn was twice named AU Faculty Member of the Year. He serves as political analyst for FOX-5 News in Washington, DC. Before joining the AU faculty, he spent 15 years as a political consultant and speechwriter. The aged man struggled to get out of his recliner. His leg muscles could not lift his weight into a vertical position, so he fell back into the chair, exhausted. He sat there for a few minutes, trying to command his weak muscles to help him stand. He barely had strength to push upwards with his hands against armrests. Finally in a single determined push with arms and forward momentum from rocking, he stood, though unsteadily. It took a few seconds for him to find his balance so he could then shuffle from his recliner to reach the bathroom. There he would need to sit again, and he knew that leaving the stool would be equally arduous — maybe impossible. How he dreaded the idea of becoming immobilized and unable to escape the prison of sitting. One morbid challenge confronting Boomers as they age many not ring familiar to you. But when you think about it, you might consider aging from a different perspective. Called sarcopenia, this challenge involves muscle wasting due to aging. Sarcopenia derives from the Latin roots, "sarco" for muscle, and "penia" for wasting, making it a “muscle wasting disease.” Sarcopenia is a byproduct of the aging process, the progressive loss of muscle fiber that begins in middle age. The process starts in our 30s but, unchecked, leads to rapid deterioration in strength and endurance in the mid-60s. Without intervention, adults can lose as much as 8% of muscle mass every ten years. Sarcopenia propels a cascade of other medical problems. Less muscle mass and strength leads to faster fatigue. Chronic fatigue leads to less physical activity and a more sedentary lifestyle. Less activity results in fat gain and obesity. Excess weight contributes to glucose intolerance, type II diabetes and a condition called metabolic syndrome. This syndrome can then cause hypertension and increasing risk for cardiovascular disease. The end-state of sarcopenia is death. Muscle wasting contributes dramatically to eldercare costs. Once older patients become incapable of the activities of daily living, such as rising unassisted from a recliner, they are usually institutionalized in nursing homes and assisted living facilities where most remain until death. I recently participated in an Innovators Summit: “a unique forum where leaders representing a variety of sectors join together to design new business models, network about possibilities, and spawn new insights around the aging marketplace of the future.” Staged at The Broadmoor in Colorado Springs, where I was formerly advertising and public relations director, the Summit brought together professionals involved in aging services, home healthcare, architecture, homebuilding, academics, medicine, technology, wellness, retailing, and of course, marketing. Participating organizations included Ecumen, Eskaton, IDEO, GE, Pfizer, Intel and AARP. A significant part of this exercise in “deep conversation” involved forming interdisciplinary innovation groups addressing seven topical areas, including “home based care,” “new financial models,” “dementia and cognitive health,” and “livable communities.” I joined a group discussing the future of “prevention and wellness,” an area that his interested me for decades and has involved clients of Brent Green & Associates, such as EAS, Men’s Fitness magazine, the Institute for Health Realities, Men’s Health magazine, and Nestle. Although wellness encompasses a vast array of subspecialties, from nutrition to socialization, I suggested we focus our discussion on sarcopenia. Knowing that this clinical-sounding word needed a more innovative title, a preventative medicine physician on our team suggested “Strong Muscle, Strong Living” as a friendlier, more benefit-oriented statement of purpose. Imagine a public service media campaign developed to help adults 50+ become more aware of the hazards and risks associated with unchecked muscle wasting. What if the alien word “sarcopenia” or a friendlier euphemism became as familiar to the public as ED — erectile dysfunction? Could this campaign reduce healthcare costs by focusing 50+ adults on muscle maintenance long before the pernicious downward spiral toward frailty begins? Our innovation team then imagined some business implications of sarcopenia mitigation as a public health priority. The first obvious area of opportunity lies in nutrition science. Abbott, for example, recently introduced a brand extension of Ensure, its nutritional beverage supplement often associated with eldercare institutions. The company has named its new product Ensure Muscle Health. Flavored shakes include 13 grams of protein, 24 vitamins and minerals, and a quixotic new ingredient Abbott calls “Revigor,” an amino acid metabolite. Beta-hydroxy beta-methylbutyrate, popularly referred to as HMB, is a supplement that may act as a “protein breakdown suppressor” and thus can serve as a performance facilitator for resistance training such as weight lifting. According to some proponents, HMB boosts strength levels, enhances gains in muscle size and strength, and prevents post-workout muscle tissue breakdown. Clearly, nutrition science can become the wellspring of future supplemental food products that lessen sarcopenia progression while improving strength and endurance in older adults. Proponents of HMB and other supplements insist that nutrition by itself will not prevent muscle wasting. Thus, opportunities abound for fitness equipment designers to develop machines and training regimens that can help Boomers work out more effectively and frequently. A fitness machine has yet to be invented that takes a lot of the work out of working out, thus helping users push through psychological resistance to resistance training. The next successful video workout program may be waiting for a superstar proponent. For example, Jane Fonda’s Workout has been credited for launching the fitness craze among Boomers who in the 1980s were arriving in middle age. The 73-year-old, Oscar-winning actress introduced in 2010 a new DVD set targeting older adults called Jane Fonda Prime Time. Two new videos are entitled “Walk Out” and “Fit and Strong,” with the first focused on aerobics and the second on strength training. This regimen is heading in the right direction, but the exercise level required to participate is more suited to those already experiencing handicapping physical limitations. The most on-target innovation may be a hybrid series of workouts: less aggressive than youth-oriented P90X and more challenging than Fonda’s tamed-down workout for folks already significantly limited by disabilities. Sarcopenia, a mystical word not to be confused with a Greek isle in the Aegean Sea, stimulates grand possibilities for innovation… in nutrition science, fitness equipment, video training programs, retirement community social engineering, public education, consumer products, and marketing budgets to sell all the aforementioned opportunities. Our innovation team agreed that not only can a national focus on sarcopenia potentially mitigate premature aging and death, but this agenda could further reduce spurious healthcare financial burdens confronting the nation. Strong muscles mean stronger, sometimes longer lives. Through sarcopenia mitigation, Boomers can compress their morbidity — thereby lessening the burdens of old age illnesses by compressing an unwanted time of life into the shortest period possible before the final exit. To visualize this cultural and business revolution personified, think of Jack LaLanne, a pioneer in fitness and strength training, who had a robust and productive life until age 96, dying from pneumonia after just a few weeks of illness. Strong muscles, strong life, quick death from natural causes. The circle of life doesn’t come full circle any better. News media have been contemplating implications of the oldest Baby Boomers turning 65 this year. This is a symbolic passage but nevertheless thought worthy. Around 10,000 will reach the milestone daily for the next nineteen years. Never has the nation dealt with population aging of this magnitude. As critics see it, Boomer aging represents a dark cloud, a generational storm gathering over the social safety net. Detractors employ disquieting language such as “predicament,” “sinking ship,” and “unsustainable.” In Boomer vernacular, you might just call it a bummer. But the facts speak to a different vision of the future. This generation is proffering unprecedented growth prospects for states and cities that envision and embrace economic development potential. Since the 2005 White House Conference on Aging, Colorado’s delegates to the decennial forum have been meeting to create a strategic plan and organizational framework for aging called Silverprint Colorado. Their current goals are specific, but their vision is farsighted: to help Colorado become the leading state in the nation to embrace opportunities of an aging population. Other states are addressing the Boomer aging opportunity by organizing initiatives similar to Silverprint, with civic and business leaders forging creative public and private partnerships to “ride the age wave.” Virginia’s Older Dominion Partnership is noteworthy for its momentum. I was keynote speaker recently for the The Greater Sarasota Chamber of Commerce, and over 200 business executives and civic leaders crowded into this half-day workshop, eager to understand possibilities. Sarasota is actively retooling its brand and amenities to better accommodate the Boomer age wave, thereby strengthening its position as one of the nation’s most desirable retirement locations. A majority of attendees are also involved either directly or indirectly in nonprofits. And the timing couldn’t be better. A generation of social and business innovators has matured, reaching a life-stage typically dedicated to creating legacies. According to a recent study by Convio and Edge Research, Boomers on average give $901 to 5.2 charities annually. Now, consider a macroeconomic perspective. People over age 50 represent 30 percent of the population nationwide, but they own 65 percent of the aggregate net worth of all U.S. households. Boomers earn $2.6 trillion annually to spend on goods and services, far exceeding any other generational cohort. They control $28 trillion of the nation’s assets and will inherit around $10.8 trillion from their parents. Boomers are ushering in a “golden age” for tourism, community college education, healthcare, biotechnology, retirement housing, pharmaceuticals, entrepreneurialism, aging-in-place technologies, luxury products, philanthropy, civic engagement, financial services, grand parenting, retailing, traditional media, and online businesses. Every one of these high-growth business sectors creates jobs, careers and tax revenues to help all generations prosper. Boomer spending is already producing many new jobs for young people, as anyone working for hotels and resorts can confirm. When you investigate business prospects in other sectors, you’ll hear the same refrains: Boomers are the future. They are buying retirement homes, running organic foods businesses, returning to college, and starting up new companies at the rate of 10,000 per month, 16% faster than any other generational group. They are serving as newly elected governors for states across the nation, such as Mary Fallin of Oklahoma, Andrew Cuomo of New York, Susana Martinez of New Mexico, and John Hickenlooper of Colorado. Contrary to naysayers, this generation is reinventing aging, from business and nonprofit innovation to public policy leadership. This generation presents a menu of extraordinary business and civic opportunities for those who understand the implications and embrace a reasoned and realistic vision of the future. Brent served as a Colorado at-large delegate to the 2005 White House Conference on Aging, sits on the Silverprint Colorado steering committee, and is author of Generation Reinvention: How Boomers Today Are Changing Business, Marketing, Aging and the Future. In tandem with publishing my newest book, Generation Reinvention, I have recently launched a radio program called Generation Reinvention: How Baby Boomers Are Changing the Future. This weekly “audio magazine” includes prominent guest experts from a diverse range of interests and industries. FMG Radio Network produces, streams, podcasts and archives these programs. This time I interviewed John Erickson, a serial entrepreneur whose work has significant implications for the future of Boomer aging. After reading the background article below, you can listen to my conversation with John by clicking here. At first thought, retirement housing, television programming, and political advocacy seem distinct and mostly unrelated. Connections between these disparate industries are elusive. That is, until you connect the dots. And those dots have become united through the convictions of one man: John Erickson. He has changed the status quo for community-based retirement housing, introduced the first cable channel with tailored programming for adults 50+, and provided thought leadership for older Americans demanding to be heard in Washington. His entrepreneurial odyssey began over a quarter-of-a century ago. Before the 1980’s, those who aspired to live in retirement communities often needed to have significant assets. Hopeful residents invested their savings in a hefty, nonrefundable deposit and then paid monthly dues to perpetuate a lifestyle catering mostly to the wealthy and upper-middle class. John Erickson saw another alternative: well-appointed and managed communities for the middle class, offering equivalent amenities associated with robust retirement community living: an affordable, aspirational retirement lifestyle. That was a game changer. All his communities focus on his “six pillars of successful aging.” The ingredients for vibrant retirement living include exercise, diet, spiritual well-being, a comprehensive wellness and health care plan, and financial security. The final ingredient is social structure. An expanding retirement housing enterprise would be enough to keep most entrepreneurs busy, but success of his community model disclosed another need and opportunity. “I put miniature community television stations in each of my retirement housing campuses,” reflected John Erickson during his conversation with me. “Residents produced their own hometown networks. It occurred to me that an opportunity existed to develop an entire TV network that would focus on better quality of living as you get older. He took his concept and persuasive presentation to Comcast and won their agreement to launch a 24-hour cable channel called Retirement Living TV in 2006. Since then, RLTV has become a sophisticated television resource with Emmy award-winning programming and legendary on-camera personalities such as Sam Donaldson, Joan Lunden, Jim Palmer and Florence Henderson. Programming includes a variety of shows tailored for interests and passions of older adults: health & wellness, avocations, financial planning, housing, relevant world news, travel, politics, and contemporary culture. One would think that a growing network of retirement communities and a 24-hour cable network would be sufficient to keep this entrepreneur fully occupied. But he’s simply not finished. John concluded that voters 55 and older are too easily dismissed by a bevy of candidates seeking elective office. He observed that Boomers and older generations are passionate about the issues, take time to become educated about their policy options, and show up at the polls to vote. So, earlier this fall, his organization launched another initiative called Prime Votes to help inform Boomers and seniors about important issues in the mid-term elections. With those over 50 facing myriad challenges, from sinking retirement assets due to the recession to uncertain solvency of Social Security and Medicare, he concluded that this important constituency needs a louder, better informed voice in Washington. RLTV created a series of programs devoted to issues; the network produced and launched a public service announcement campaign on other cable channels; and John made the rounds of major media to communicate an undeniable fact: the social/political agendas of older adults need to be understood, heeded and addressed by policymakers. Any politician assuming that he or she need not focus on this cohort is making a grave judgment error. And, clearly, this is what John Erickson is doing, personally and professionally. Unwilling to settle for the status quo in housing, television or politics, he is one of those rare leaders and entrepreneurs who has seen other possibilities for the future – alternative states – and then acted on his vision, ultimately to the benefit of all aging generations, present and future. Unprecedented societal aging engenders new opportunities for business creation and career reinvention. Boomers busy reinventing themselves, and younger entrepreneurs interested in profiting from this “silver tsunami,” can take advantage of numerous opportunities to develop creative new businesses, products and services. Entirely new industries will be in demand by an aging generation that changes societal and cultural expectations around every life stage it passes through, including life past 50, 60, 70 and 80. Boomers will also transform traditional industries serving aging consumers with their unique imprints and styles. The following ideas have been organized around ten major themes of Boomer aging, based on recent consumer research studies and sociological insights into this generation’s emerging motivations. Community colleges – traditional public educational institution specializing in retraining of those leaving their primary occupations to become prepared for work in other fields such as healthcare, information technologies, graphic design, financial planning, and teaching. Lifelong learning – online and offline short-term workshops and seminars to provide skills-based training, such as computer skills, business accounting, foreign languages, cooking, internet marketing, and digital photography. Retirement/financial planning – online webinars and live seminars designed to help Boomers become more sophisticated in managing their retirement assets, planning estates, finding reverse mortgages, buying longevity insurance, and planning long-term care. Lifestyle pursuits – consumer products, services and social networks to help Boomers pursue their recreational passions, whether sports, artistic endeavors, or cultural experiences. Adventure vacations – travel to exotic, off-the-beaten path destinations, including immersion into local culture and history, often with subject-area experts as tour guides. Political engagement – political action committees and issues-oriented communities conceived to promote favorable public policies, while influencing and electing political leaders. NGA and nonprofit participation – community boards, nonprofit boards, grassroots organizing committees, and foundations dedicated to improving quality of life and social/economic equality. Civic engagement – events and initiatives conceived to provide assistance and support to disadvantaged groups such as inner city kids, seniors belonging to minority groups, victims of myriad disease conditions, and the homeless. Voluntourism – travel planning for those interested in turning vacations into meaningful engagement experiences, for example to help less fortunate and disaster victims in all parts of the world. Natural /organic products – consumer packaged goods products developed from natural ingredients and sustainable sources, such as prepackaged nutritional foods, clothing made from organic cloths, and produce grown using organic and sustainable farming methods. Energy efficient everything – building materials using recycled materials, homes designed to use solar and alternative energy sources, energy consulting services to help consumers reduce use of energy from fossil fuels. Eco-tourism – organizing, planning and conducting travel experiences that minimize impact on the environment and support third-world destinations by using alternative energy and low-impact visitations. Fitness training – strength, aerobic and flexibility training using new methods to accommodate aging fitness devotees; equipment designed to protect older exercisers from injuries while improving muscle tone, resilience, and stamina. Brain training – computer and experientially based training to help older learners maintain cognitive health and mitigate cognitive decline due to aging; nutritional supplements and diets designed to support brain health. Nutritional supplements – myriad consumer products in the form of vitamins, minerals, drinks, meals, and herbal remedies developed and marketed to support nutritional needs and mitigate impact of diseases associated with aging. Cosmeceuticals – integration of nutritional ingredients with cosmetic formulations to improve skin health, mitigate obvious signs of aging and address specific signs of aging such as gray hair, wrinkles, age spots, and sagging skin. Anti-aging hormones – synthetic formulations of hormones that can supplement endocrine chemicals that decline due to aging; some of these hormone formulations can be prepared from natural sources and thus bypass scrutiny and oversight by governmental authorities. Mature dating websites – online gathering places for divorced, widowed, and never-married single Boomers to help lonely hearts find companions and future spouses. Compression of morbidity – all therapeutic and self-care methodologies and products to help aging Boomers maintain vitality throughout their remaining years, live longer lives, and then to pass away from final illnesses of short duration. Medical spas – rejuvenation spas that blend traditional medical care such as weight reduction and smoking cessation with benefits of classic spa pampering, to include relaxation, refocusing, and reconnecting with core values. Preventative/diagnostic medicine – medical methods and inventions designed to help aging consumers prevent chronic diseases, diagnose these diseases at an early stage, and identify hidden precursors to serious, life-threatening illnesses; biomarker diagnostics used at home with nutrient and fitness recommendations. Heirloom gifts – luxury gifts that can be purchased and then handed down to children and grandchildren as heirlooms, including jewelry, watches, collectable currencies, fine art, and valuable antiques. Endowments/ foundations – small family foundations and endowments that can be managed by retiring Boomers who have the resources and inclinations to share their good fortune with those needing help and support. Multi-generational vacations – retreats designed to appeal to multiple generations, including grandparents, parents and children; vacation experiences segmented by gender such as grandfathers, fathers and grandsons. Franchises – proven franchises that Boomers can purchase and manage to generate income after retirement from primary occupations; highest value franchises will be those that don’t demand enormous weekly time commitments yet generate good cash flow. Web-based businesses – online stores offering myriad specialty products including arts and crafts, hobby support resources, valuable information services, celebrity fan sites, etc. Business brokering – for every Boomer trying to sell a business, there are other Boomers interested in buying the business, so putting buyers and sellers together offers lucrative potential, both online and through traditional direct sales channels. Spiritual retreats /training – as Boomers age, they will inevitably develop in their motivations to explore spiritual and religious modalities, thus investing more in spiritual products such as books, DVD’s, and live or online educational experiences. Hospice/end-of-Life – with over 4 million projected to die each year by the middle of the century, Boomers will be seeking creative and alternative ways to pass away, thus creating new pathways for end-of-life care such as theme-oriented dying experiences. High-tech funeral businesses – inventing new technologies that provide avenues for the dying to permanently capture and record their values, histories and wishes for future generations, including gravesite videos and Internet-based tribute websites. Excerpted from Generation Reinvention: How Boomers Today Are Changing Business, Marketing, Aging and the Future. Coming Fall 2010! Send us an email message to receive notification when Brent's newest book becomes available. A house is a house is a house. If that is true, then the nation’s planners, developers and builders would not now be fervently in search of the Holy Grail: Baby Boomers' very deep pockets. As I see it, this quest to conceive the ultimate Boomer retirement home is taking place in three dimensions. As the Boomer marketing guru at a meeting of homebuilders recently, I began a speech by plaintively saying, “Use ceramic instead of brass in the bathroom … and thank you for your time!” The somewhat stunned audience sat blankly for a second during my pregnant pause, and then a few chuckles turned into belly laughs. Of course, there are physical elements of design that will be important to Boomers in the future. Research is revealing that Boomers, not surprisingly, want a spare room for a home office since so many will continue to work after separating from their full-time jobs. Others will pursue intellectual hobbies requiring fast internet connectivity. The next dimension of housing comes in the form of catered experiences. 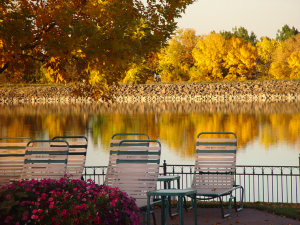 Farsighted planners are developing communities with full-time activity and recreational directors. At a Del Webb community, for example, you can expect a wealth of planned recreational options, from junkets overseas to hometown barbecues. Catered services also include outstanding fitness facilities and even leading-edge brain gymnasiums. A keystone of Boomer aging will be “healthy aging,” so we’ll be looking for communities that optimize participation in daily workout regimens. Many will also seek places that offer massages, yoga, stretching, swimming and much walking. Builders focused on adults 50+ are doing a pretty good job at delivering housing products that include cohort-sensitive physical and experiential benefits. But that brings me to a third dimension of housing: the transcendental. It’s not common for builders and developers to fully appreciate the transcendental needs of adults as they age. And even those that do are a bit sheepish about how to build this dimension into a master planned community. The transcendental dimension for Boomers is not necessarily about spirituality or religiosity, although as my previous blog entry attests, some will shape the final years of life around intense pursuit of spiritual ephemera. Transcendental neighborhoods include a focus on learning, creativity, avocations, and the ever-present yearning for community. These “being spaces” will include “third places” –- or environments that stimulate thinking, growing, actualizing, and connecting with the wider world. Community members will pursue self-development and discover how to make a difference, whether that is through volunteer work or writing a novel. Can developers really build for the transcendental dimension? I believe they can, and because of the Boomer market’s economic value, they will.